Google has officially announced Android 4.3 yesterday, and it’s another gradual update to Jelly Bean, but what’s really new about it? We've broken down the 10 biggest new features including the ones that made it into the highlights - the new multi-user system and the fact that with 4.3 Android should run even faster and smoother. 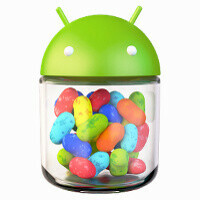 In reality, it’s clear that Android 4.3 is not a huge update from a user perspective. Google has already done the interface polishing with Android 4.0 and its beautiful Holo UI language and Roboto font. Now, with 4.3 it is focusing on features that developers will appreciate and the ten innovations listed below will be of most interest to devs, not average users. With over 1 million applications in the Google Play store, Android now can finally say that it has the largest app catalog, bigger than Apple and needless to say multiple times bigger than Windows Phone. Android 4.3 makes it possible for developers to bring really console-grade games with support for Open GL ES 3.0 graphics and many under the hood improvements in the way the system handles visuals. It is adding tons of possibilities for accessory makers with Bluetooth Smart and Low Energy support. It is opening a new realm for those that want to implement location in their apps with hardware geofencing. All of that is right below, with a quick explanation of each new features in Google’s own words, take a look. For a graphics performance boost, the hardware-accelerated 2D renderer now optimizes the stream of drawing commands, transforming it into a more efficient GPU format by rearranging and merging draw operations. Now you can design and build apps that interact with the latest generation of small, low-power devices and sensors that use Bluetooth Smart technology. Support for Bluetooth Smart Ready is already available on Nexus 7 (2013) and Nexus 4 devices and will be supported in a growing number of Android-compatible devices in the months ahead. Android 4.3 includes RTL performance enhancements and broader RTL support across framework UI widgets. Android 4.3 supports an enhanced version of theSystrace tool that’s easier to use and that gives you access to more types of information to profile the performance of your app. You can now collect trace data from hardware modules, kernel functions,Dalvik VM including garbage collection, resources loading, and more. I could have sworn an article was published yesterday on the same topic correct me if I'm wrong. I don't want to delete everything from my N7 that's the thing. I'm updating the minute I'm able to. Im going to do the same for my Nexus7 PapaSmurf. I was looking for the update yesterday so hopefully I'l be able to update when I get home this evening!! Why call it 4.3? Why not 4.13, or 4.1.3? Every prior #.# iteration before 4.2 was a unique update. 4.x are updates that bring in new features whether they include software or hardware support. 4.2.x are bug fixes and minor improvements basically. What's the name of the game in picture 4? Reminds me of the Gears of War series on my Xbox 360. There is. It has a specific keyboard for it included. It's called iWnn IME (Emoji). It contains tons of emojis but some of them are pretty weird. Haven't tested it to see whether it works with other messaging apps. My Nexus 4 running 4.2 seems to have Emojis. Is that unusual? Am extremely curious to see how Ingress will run once i get the update what with ingress currently being a huge battery drain. Makes ios look plain and boring. Ahhhh yessss, the perks of being a Nexus user! Cool. Every update is special.